Wenrui was with AEDNO from Secondary one right up to Junior College. 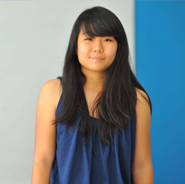 She enjoyed learning with AEDNO, and learnt how to learn effectively and efficiently, which benefited her throughout her education, from Cedar Girls, to Raffles Junior College, till now at NUS business. "Thank you AEDNO for making fun. The teachers here are very friendly and patient with us. They are always ready to help us when we have questions. They play an important role in helping me achieve such good results." Betrand was failing Amath when he joined us at the start of his Secondary 4 academic year. A month later, remarkably Betrand achieved A1 for his Amath and even scored nine points for his 'O'Levels results. He is currently in ACJC and still with AEDNO. "Aedno helped me to achieve the results I desired by using teaching methods which create an optimum environment for fun learning. The teachers at Aedno truly embrace the meaning of wholesome, all-rounded, education." The brothers Shaun, Shannon and Shant have all been with AEDNO since Primary School till Junior College. Shant, the youngest of the three, has achieved two As and two A*s for his PSLE results, and currently he is studying at Raffles Institution. "With Aedno, I was able to achieve the results I set for myself at the beginning of the O'Levels. The teachers are effective in driving the knowledge into my head, where they never give up hope in the students."